If you have any questions, you can contact us by email via [email protected] or by mail to: Easee BV, Stadhouderskade 60A, 1072 AC Amsterdam. Easee has developed an application called ‘Easee Online Eye Test’ (the Software), with which Users can purchase an eye test validated by an eye specialist and an online prescription (de Dienst). The Software is accessible via Easee’s website: https://easee.online (the Website). Easee gives the User permission to use the Software. This permission is non-exclusive and non-transferable. The User may only use the Software to obtain a prescription. The User requires prior permission from Easee if he wishes to use the Software for another purpose. In order to use the Service, the User must register on the Website. The User guarantees that the information provided by the User is correct. After Easee has approved the registration, the User will receive a personal user account. Myopia with strength between -0,25 en -4,00. Hypermetropia with strength between +0.25 en +2.00. A cylinder with strength between -0.25 en -2,50. Single glasses (no multifocal, bifocal or progressive glasses). No history of amblyopia, diabetes, high blood pressure, glaucoma, cataract, retinal detachment, squint, brain abnormalities, neurological problems, etc. No recent problems or symptoms of acute eye pain, flashes or floaters in the eyes. During the eye test you, the User, are personally responsible for following all instructions given during the test, both audible and legible. This includes, for example, covering the correct eye and standing the right distance away from the computer screen. Failure to follow instructions may result in an inaccurate and / or incorrect prescription. In this case, easee can not be held liable fort he inaccurate and / or incorrect. Use a computer or laptop with a flat screen and a minimum of 100 DPI resolution. Make sure your screen is placed 30 cm from the edgde of the table. Make sure that you are exactly 3 meters away from the screen when taking the test. Use a smartphone (iPhone 4,5,6,7,8, Android, Windows Phone). Make sure to have a good internet connection for both the phone (3G or 4G) and computer. If on, turn off all energy-saving functions on your computer and/or connect it a power grid. Set the brightness of the screen to maximum. Set the audio volume to maximum to be able to hear the instructions of the test. 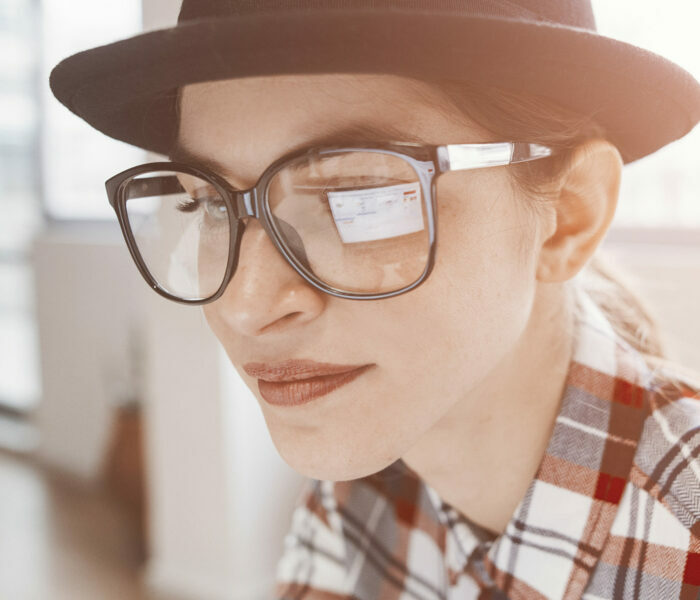 Take The Easee Online Eye Test in a room with dimmed lights, avoid reflections on the computer screen and other light sources in the field of view. The Software is a medical software, has a CE marking and meets the requirements of the Medical Devices Directive 93/42/EEG. The Software and information on the Website does not concern medical advice. The use of material on the Website is not a substitute for the consultation of a medical professional. For questions regarding a medical condition, you must request professional medical advice. User pays the prices stated on the Website for the use of the Software. User pays directly with the payment methods offered on the Website (iDeal, credit card). Easee reserves the right to change the prices stated on the Website form time to time. Prices are subject to obvious mistakes and typos. No rights can be derived from prices listed in the past. Easee may update the Software for maintenance and/or improvement purposes. Easee has a helpdesk. The user can contact the helpdesk for technical support and for reporting an incident. The helpdesk is available on Monday through Friday from 9 a.m. to 6 p.m. The helpdesk can be reached via [email protected] Easee will react as soon as possible, but no later than within 48 hours. If an incident is caused by a defect in the Software, Easee will repair the defect free of charge. Definition of ‘defect’: an error in the Software causing the Software to dysfunction in accordance with the agreements in this Agreement (the Defect). User is responsible for the technical operation and maintenance of his/her internet connection, the internal network and all other IT systems that are required according to the system requirements for the use of the Software. Easee is not responsible for incidents that have to do with one of the aforementioned matters. If the User uses the Software unwisely and thereby causes an incident, Easee is not responsible for this. The User may not use the Software for anything other than that for which the Software is intended (as described in Article 1.3). Easee is not liable for the damage caused by the incorrect use of the Software by the User. send viruses, worms, junk mail, spam, chain letters, unsolicited offers or advertisements. User exclusively owns all data collected, precessed and stored with the Software. Easee is not liable for any damage that you may suffer as a result of the use of the Service or the Software, unless such damage is caused by intent, gross negligence or deliberate recklessness on Easee’s part. Although Easee takes as many measures as possible to ensure a safe and properly functioning Software, it does not, in any way, guarantee the correctness of the Service or the Software. Easee is not liable for consequences of (possible) inaccuracies with regard to the Service or the Software. If a certain obligation is not fulfilled or period for the fulfillment of a certain obligation expires, the User is automatically in default. A notice of default is not required. User indemnifies Easee for any claims from third parties that suffer damage by the Service and whose cause can not be attributed to Easee. Easee is the owner of the Software and reserves all rights to software, documents, images, drawings, software, creations and the related information. If part of these conditions is void or voidable, that does not affect the validity of the rest of the conditions. The void or annulled part is replaced by a provision that follows the content of the void provision as much as possible.